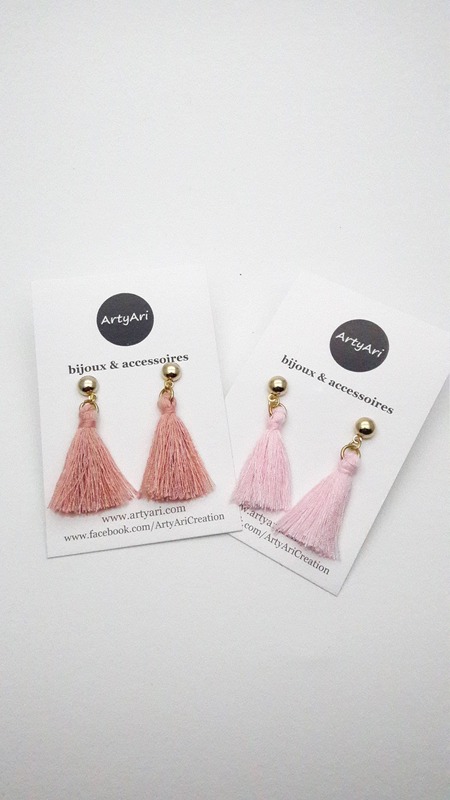 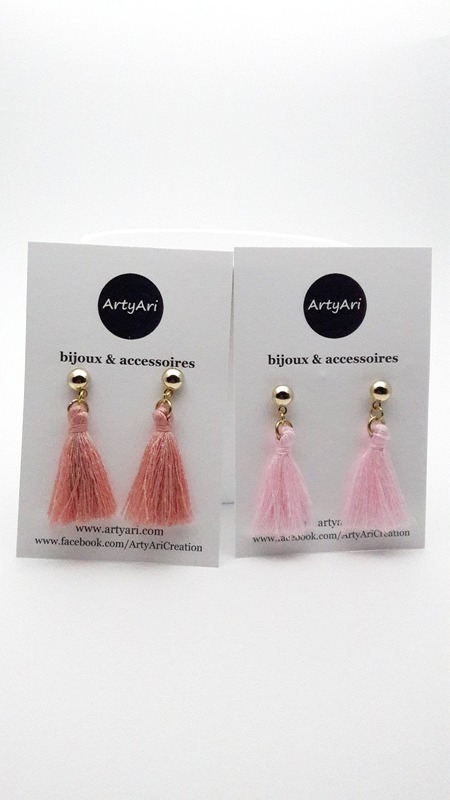 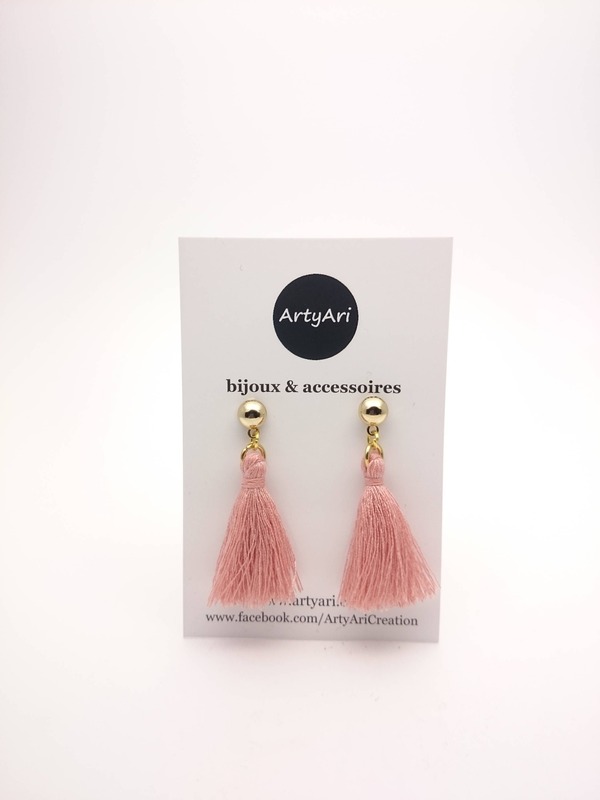 Antique pink or soft pink color cotton tassel earrings//Hypoallergenic gold steel closures//Fringe Earrings// Simple Tassel Boho Earring. 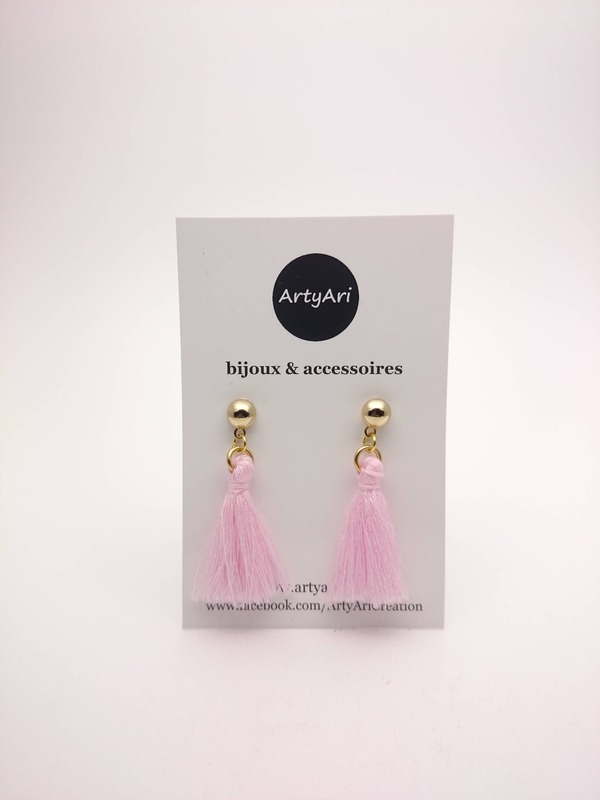 I made these earrings tassels with cotton thread and gold stainless steel studs closures, hypoallergenic material for those with sensitive skin and metal allergies. 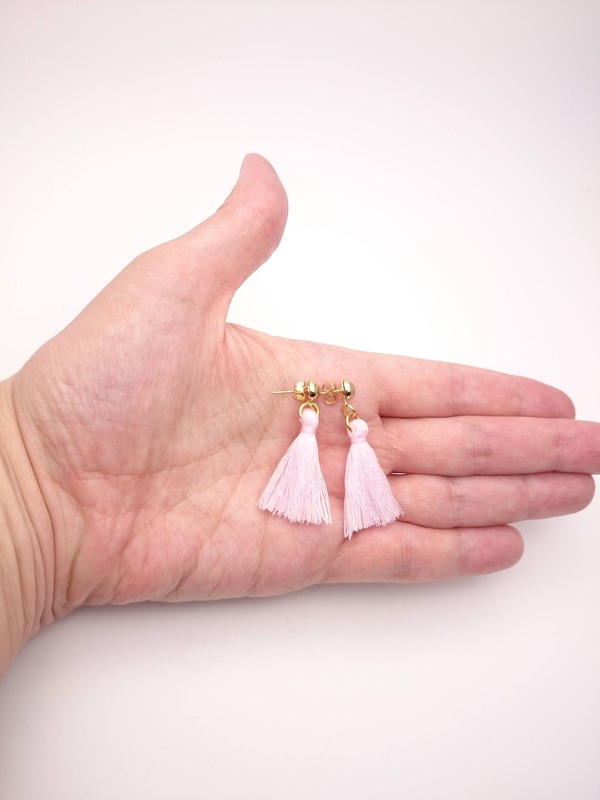 Length of the earring : 40 mm / 1,5". 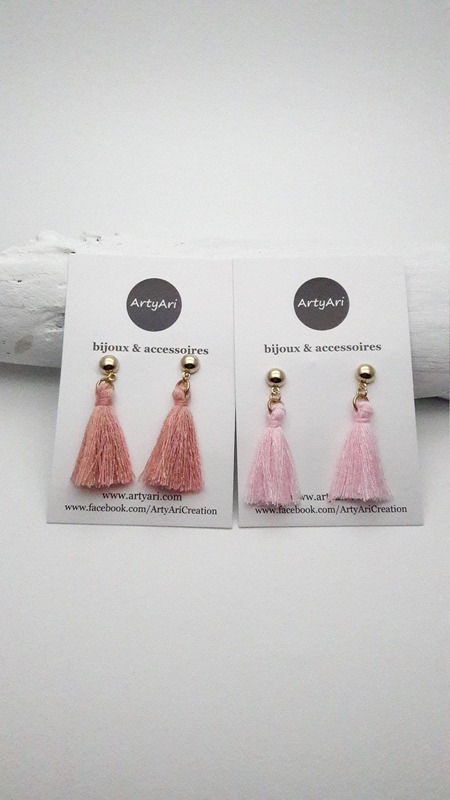 This listing is for 1 pair of earrings. 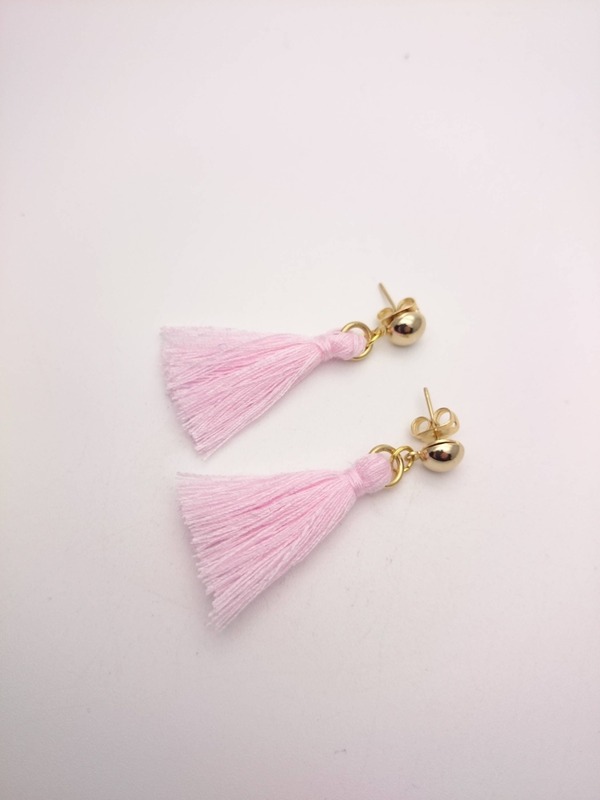 Color to choose : Old Pink or Soft Pink. 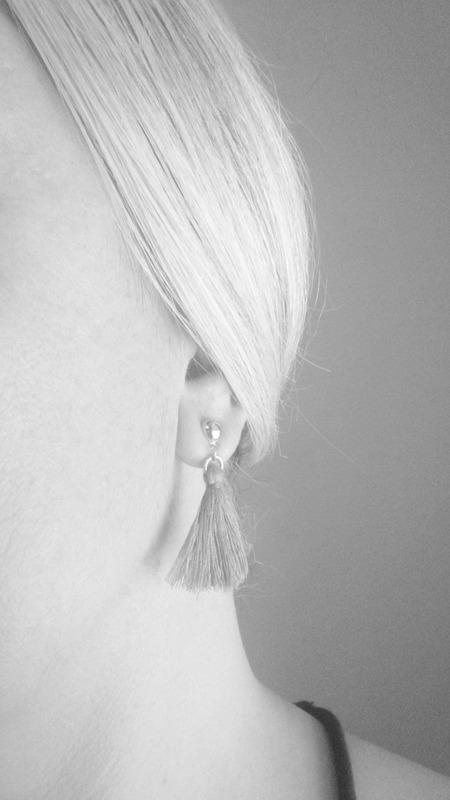 Stainless steel chain (surgical steel 316L) don't tarnish, rust, or fade. 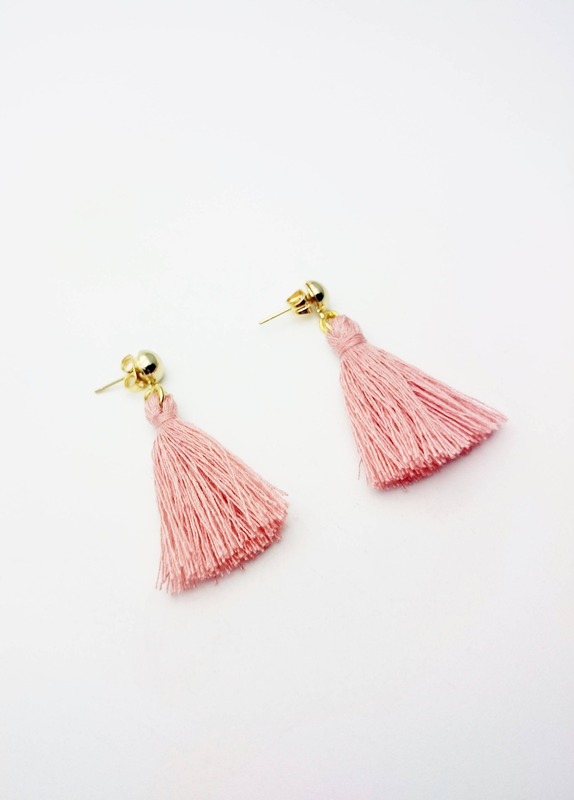 It will not discolor your skin. 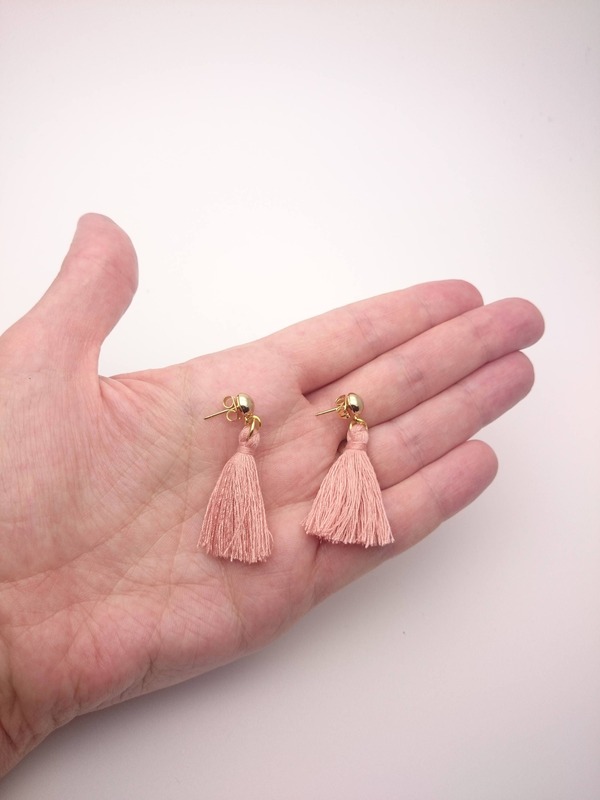 This material is hypoallergenic for those with sensitive skin and metal allergies and very durable.